Transmission Shops Northville: Get The Most Out Of Your Transmission. Some people are hesitant when it comes to spending money on cars. In fact, a lot of people will not dish out money unless a repair or replacement is absolutely necessary. Take your vehicle’s transmission for example. 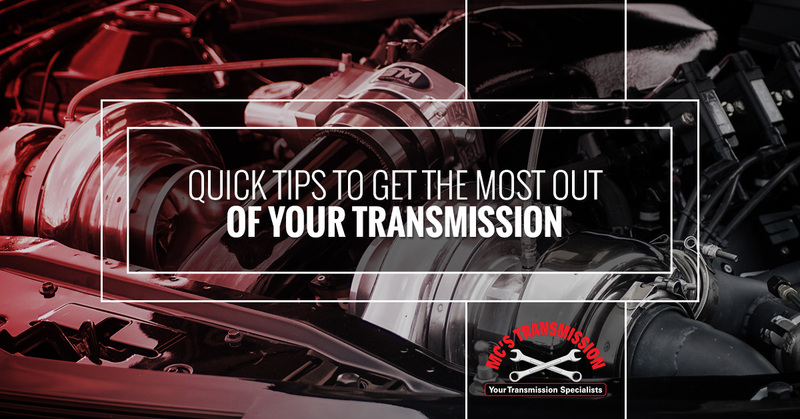 Instead of coughing up a large amount of money when your transmission needs to be replaced or repair, you can prevent transmission problems from happening to ensure that you get the most miles out of your transmission. Think about it, would you prefer to have a transmission that barely makes it over 60,000 miles because you never considered preventive maintenance or a reliable transmission that lasts more than 120,000 miles? Transmission repair or replacement does not come at a low cost, while transmission service is inexpensive and not as complex as a repair or replacement would be. If you want to extend the life of your transmission and save money in the long-run, check out these quick tips to get the most out of your vehicle’s transmission. Transmission fluid is used to lubricate the components of a vehicle’s transmission for maximum performance. The fluid plays an essential role in the operation of the transmission, which is why routine maintenance can be beneficial in extending your transmission’s life. The most common cause of transmission-related issues are caused by having little to no fluid, or fluid that is soiled, so transmission fluid maintenance is not something that should be overlooked. Whether you do it yourself or have a professional transmission mechanic do it, transmission fluid should be checked on a regular basis to check the condition and levels. Synthetic fluids are becoming more and more popular when it comes to transmissions. This is simply because synthetic fluid is more effective than most traditional fluids. Compared to ordinary fluids, synthetic fluids are much better at resisting heat, oxidation, cold, and shearing — which can all lead to transmission issues and increase the likeliness of needing a repair or replacement. Although synthetic transmission fluid is a bit more expensive than the traditional fluids, it will help keep your transmission running at its optimum performance and save you money in the long-run. Having a transmission filter is a key piece to the system. These filters were designed to catch contaminants, like dirt and other debris, from the lubricating fluid before it is sent to the transmission itself. Although these filters are generally pretty effective, adding an additional filter to the cooler line will help capture more contaminants than just one filter would, leaving you with clean and effective fluid. Cooling system maintenance should include the replacement of antifreeze, leak and damage inspection, hose and belt inspection, radiator cap pressure test, checking of coolant levels, and a thermostat check. Heat is one of the worst things for a vehicle’s transmission. A vehicle’s radiator can help immensely in cooling the transmission. With the radiator playing such an essential role in the health of your transmission, it is important to maintain the cooling system. Having cooling system maintenance done, preferably every two years, will bring many benefits, like increasing the efficiency of your transmission and maintain the mechanical health of your vehicle. We mentioned the importance of regularly servicing fluid levels, the cooling system, and filters. However having your transmission serviced is also of high importance. It is recommended to have your vehicle’s transmission serviced every 30,000 miles, or two years, to ensure it is operating and running properly. Usually, a general transmission service will include a fluid and filter change. Transmission service for the average car usually will not cost you too much, either. When you are in need of transmission service in Northville, MI, and the surrounding areas, you can count on MC’s Transmission to give you the reliable, professional, and friendly service you need. Whether you need regular transmission service and maintenance, transmission repair or replacement, or even a transmission rebuilds, our team can help! At MC’s Transmission, we offer free diagnostics and computer scans, and we will match or beat any quote from a competitor. Contact the transmission specialists today to schedule a service appointment!